Indulge in a sophisticated and playful feast for the senses brought to you by internationally acclaimed designer Philippe Starck, James Beard Award-winning chef José Andrés, pop icon Lenny Kravitz, and sbe Founder & CEO Sam Nazarian. Tuck away in our Miami boutique hotel, score the hottest reservations in Miami or play it coy at Hyde Beach, no matter your destination at SLS Hotel South Beach, you can always count on welcoming service, redefined luxury, and undeniable style. 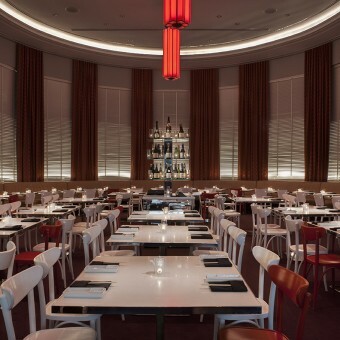 At SLS, you don’t need to go to South Beach. South Beach has come to you. 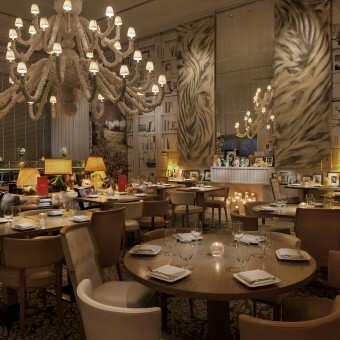 The Bazaar, the world-renowned restaurant by the James Beard award-winning Chef José Andrés, lights up Miami with a vibrant mix of sophisticated cuisine and a playful indoor-outdoor space by Philippe Starck. Master Sushi Chef Katsuya Uechi, whose acclaimed Japanese restaurants have received top Zagat ratings for years, unleashes his culinary artistry onto South Beach with a menu of innovative sushi and robata dishes. With more than 8,000 square feet of indoor-outdoor space, Hyde Beach offers artful cocktails and food service by José Andrés. Enjoy lunch poolside or in the Mediterranean garden. Experience José Andrés’s exciting reinventions of classic cocktails made with liquid nitrogen, organic emulsifiers, and fresh herbs, fruits and vegetables, situated at one of South Beach’s most sought after outdoor cocktail spaces. The Bazaar menu blends Andrés’ Spanish heritage and personal ingenuity with influences from the local Latin culinary tradition. Enjoy private dining in the intimate Dragon Lounge. For all inquiries, including bottle service, email hyde.southbeach@sbe.com. 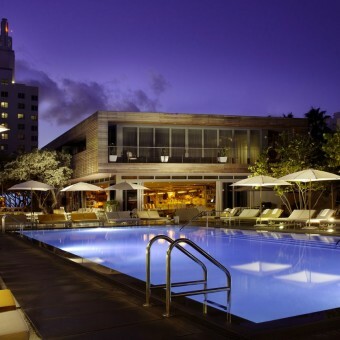 From an exclusive gathering to a lavish press event, SLS South Beach creates affairs that entertain all the senses. Choose from a full range of services and 28,000 square feet of flexible Philippe Starck-designed event space and suites and Lenny Kravitz-designed Penthouse Suites. The 10 Best Party Hotels in the U.S. When bae is whipped. Unwind with us at Bar Centro Unplugged tonight starting at 9pm. sbe acquires Morgans Hotel Group. We look forward to welcoming you at the properties joining the sbe Collection: @sandersonsocial @morgansoriginals @mondrianhotels. sbe acquires Morgans Hotel Group. We look forward to welcoming you at the properties joining the sbe Collection: @morgansoriginals @mondrianhotels @delanohotels @backofhousemhg.